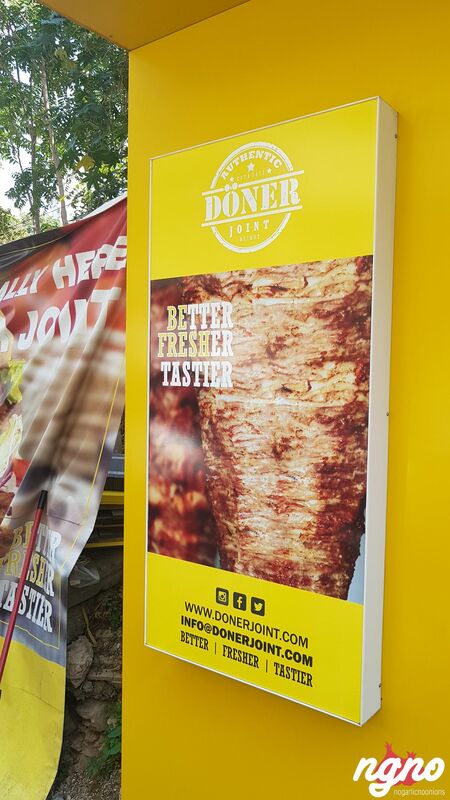 To tell you the truth, I was never excited to have a doner kebab especially after trying the ones in Istanbul... but I heard that "Döner", imported from Germany, is different. 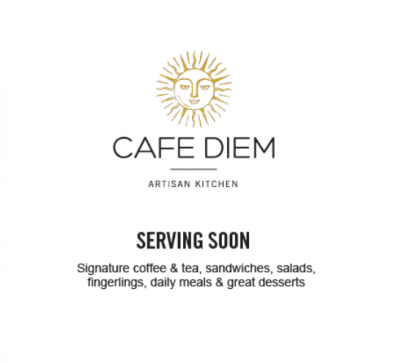 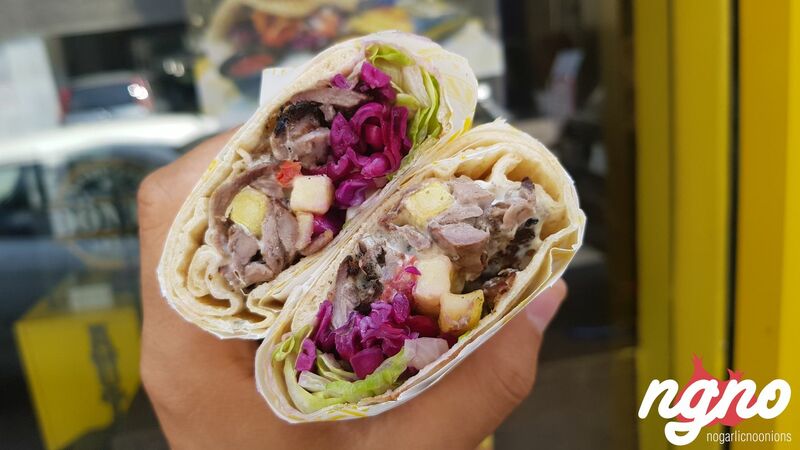 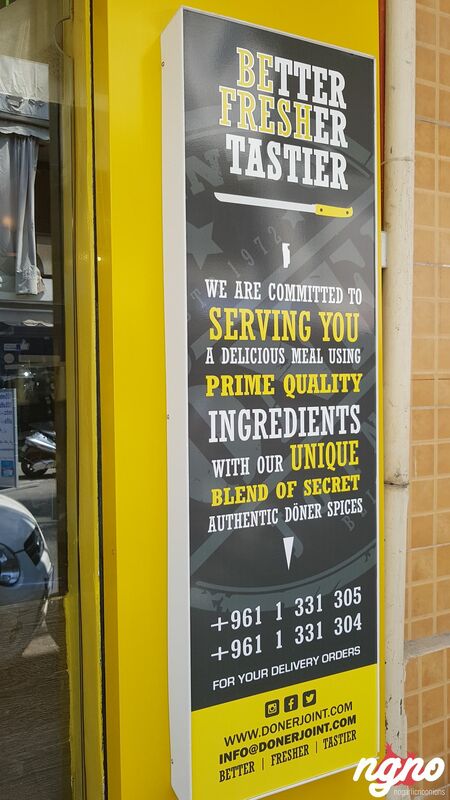 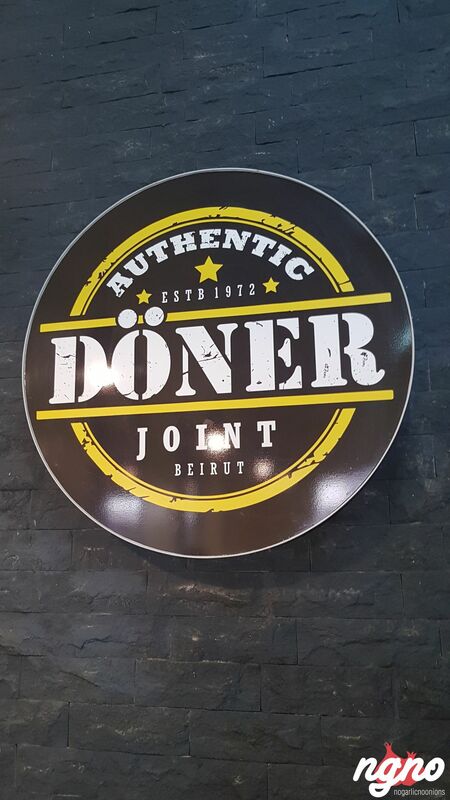 Just when we've upgraded our shawarma to what I consider gourmet level, when the doner kebab is so last decade, when the world became inspired by our street food... doner joints remembered to open in Lebanon! 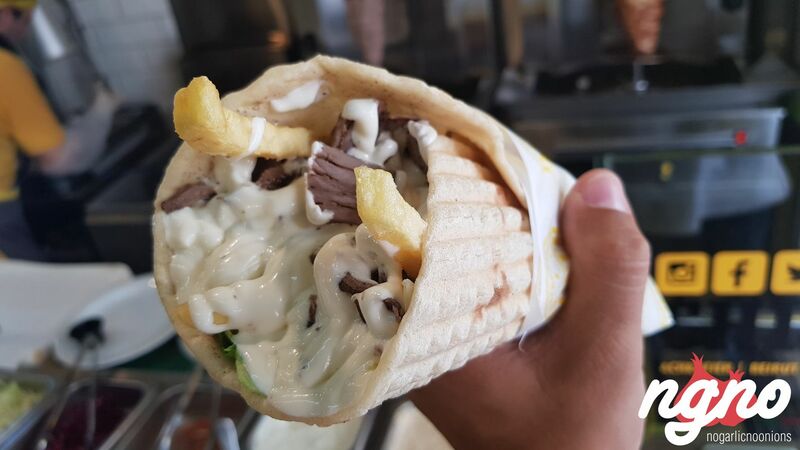 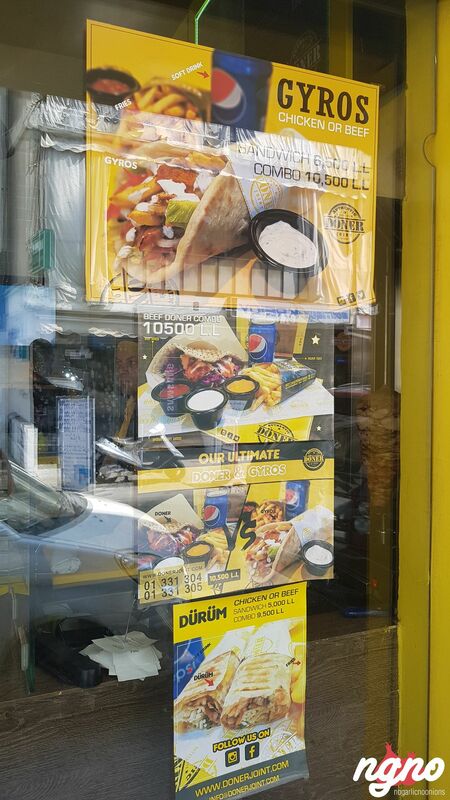 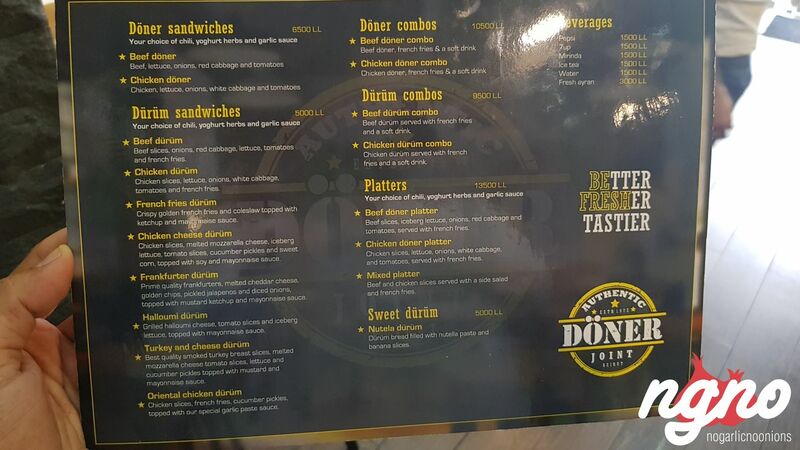 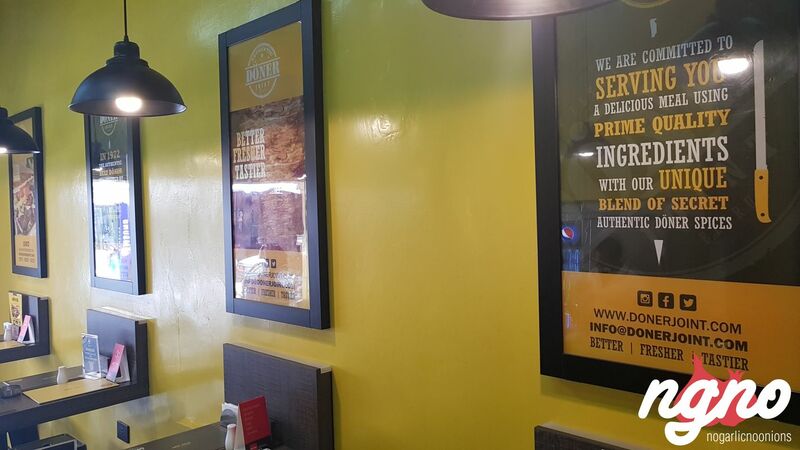 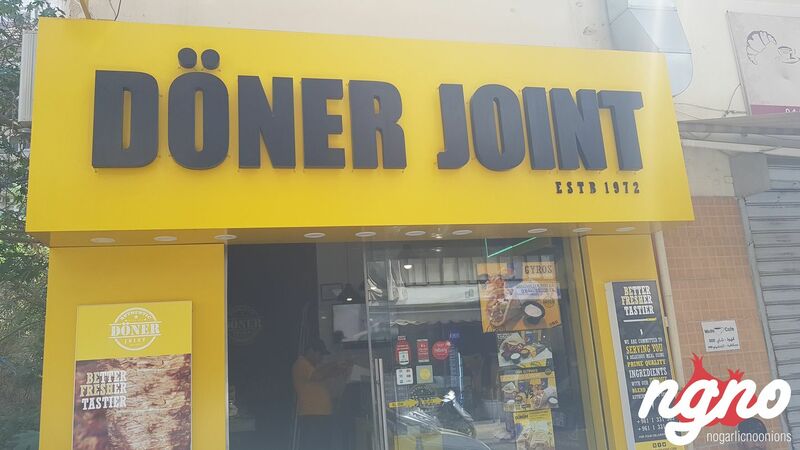 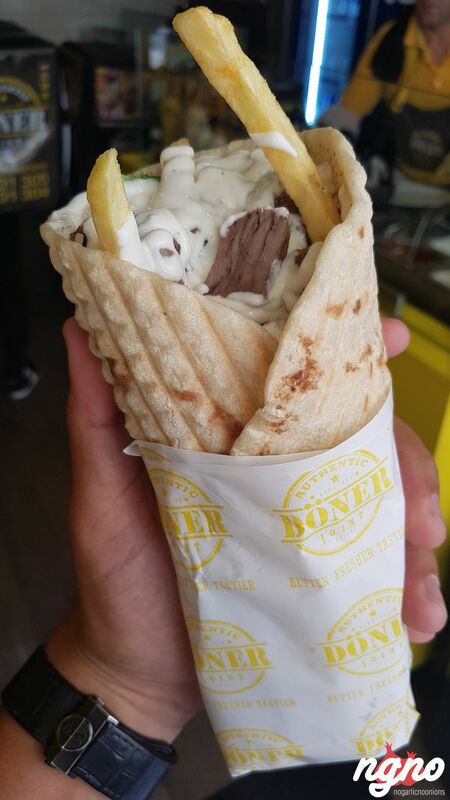 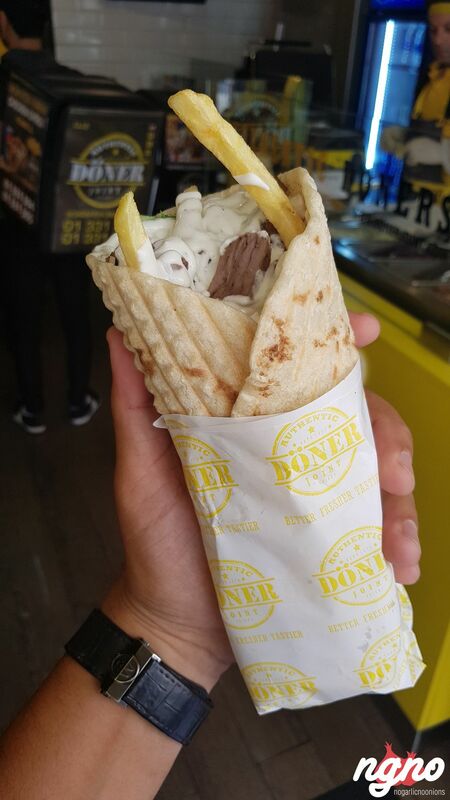 A trend has landed in Beirut: "Doners and Gyros". 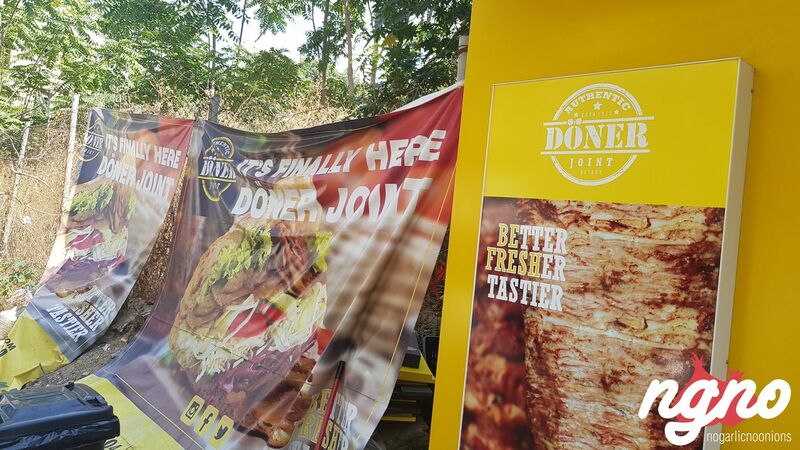 Located behind Boubouffe in Achrafieh, Döner Joint Beirut sells meat and chicken. 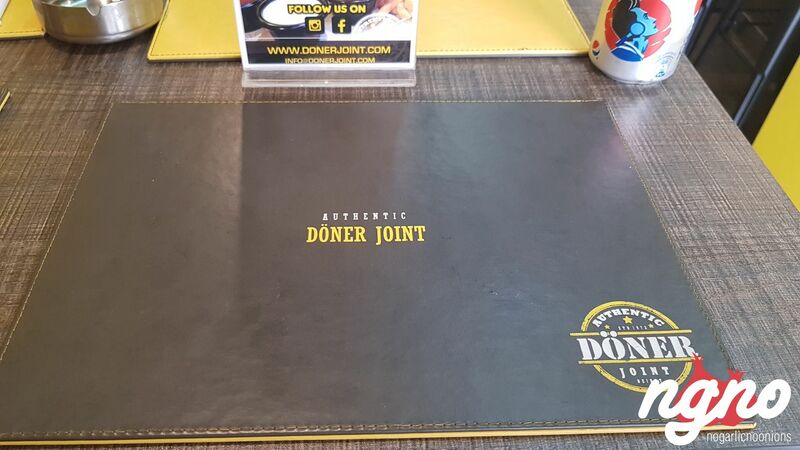 On the sign you see the date 1972 when the doner was first created. 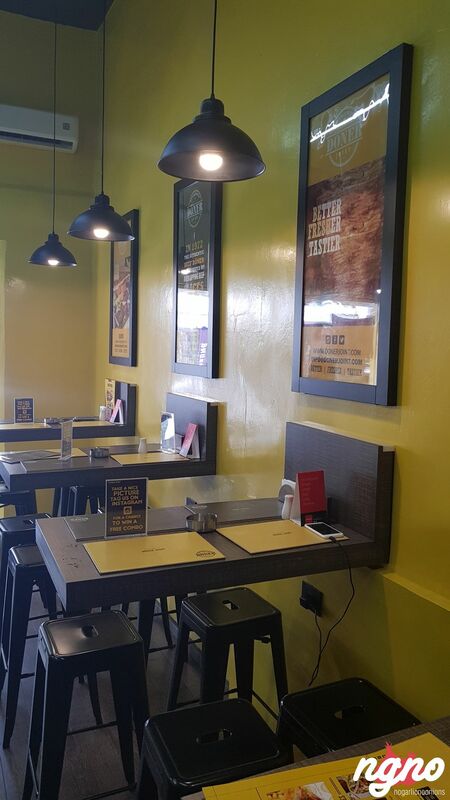 Yellow and black, high stools and tables, a high ceiling, one wall painted in yellow, one in black and a wall made of white ceramics. 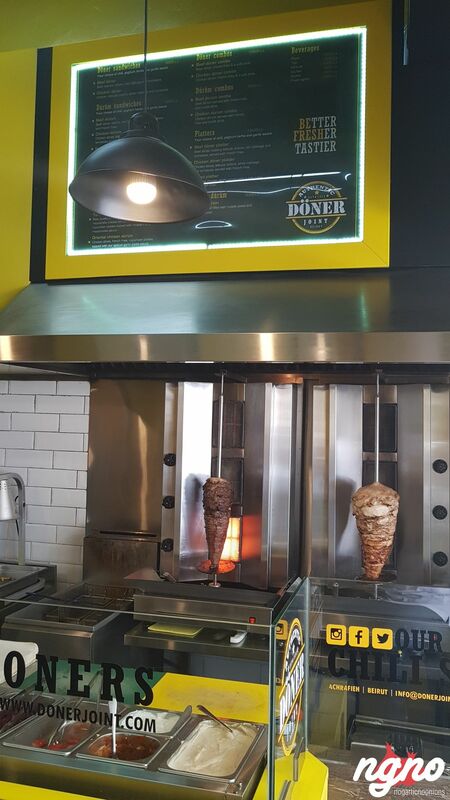 An open kitchen prepares traditional doner sandwiches on three choices of bread. 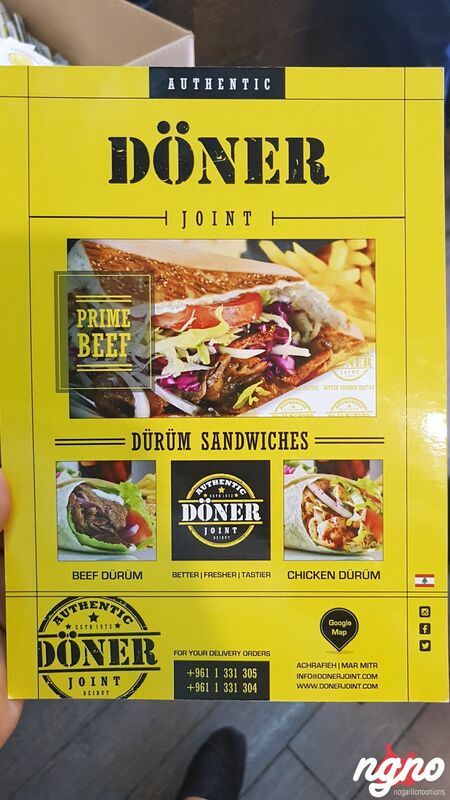 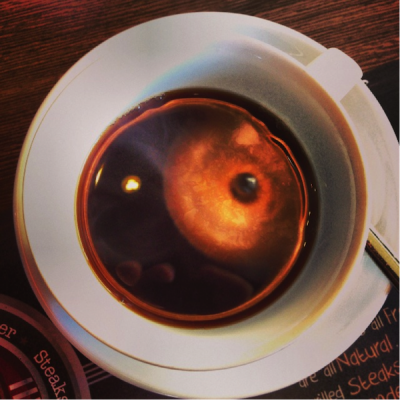 "Durum, Döner and Gyrus": three choices and three different experiences. 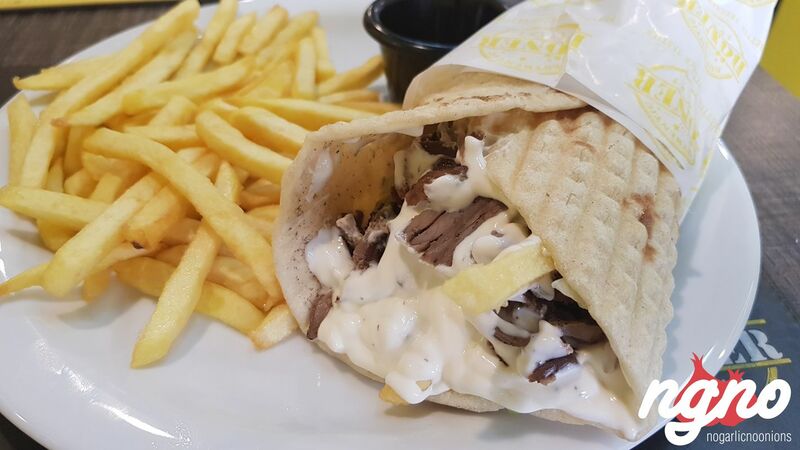 Gyros: thick flat bread stuffed with a load - an excess - of yogurt sauce, lettuce and tomatoes with shawarma meat. 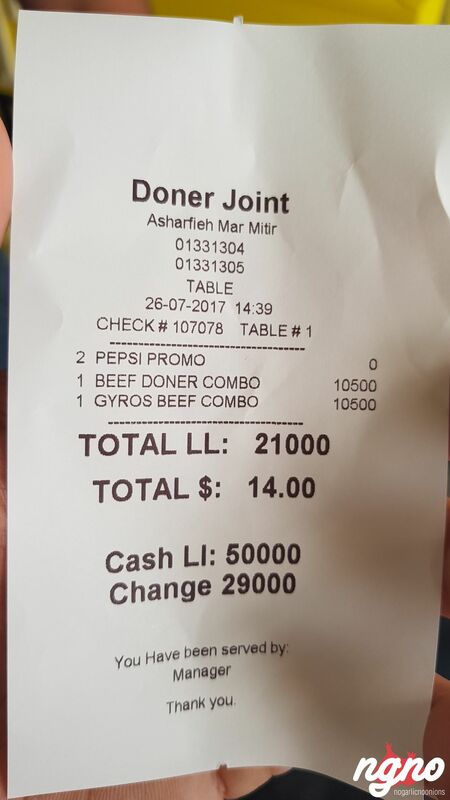 The bread has a certain chewiness to it we Lebanese don't like much. 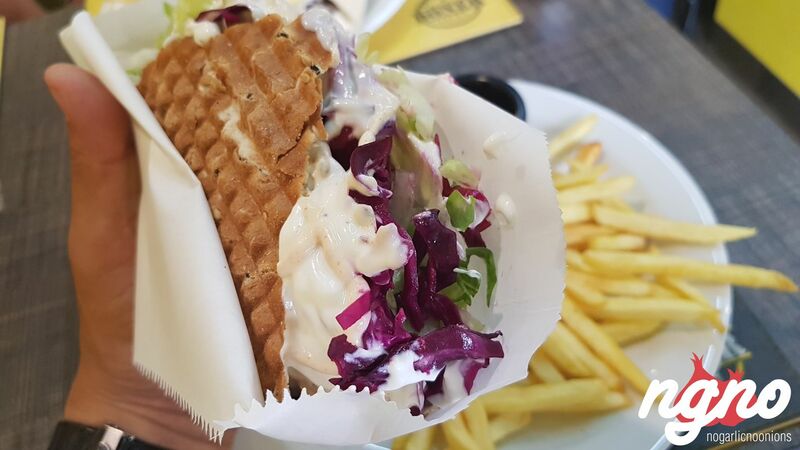 The Döner is more of a vegetable sandwich with sauce spilling out and a tiny bit of meat at the bottom. 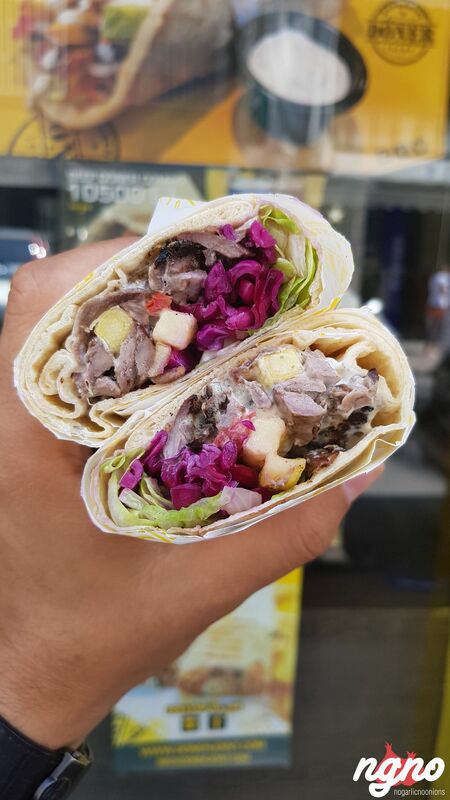 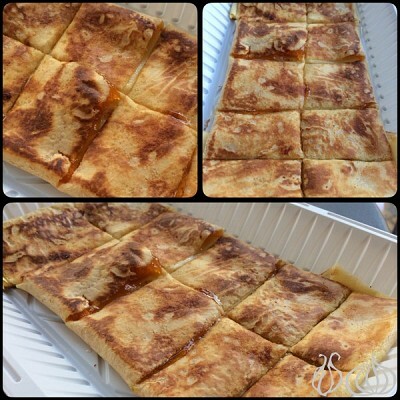 The bread is thicker than I expected, the meat should be cut bigger although it's juicy enough, and vegetables fill up the majority of the pocket. 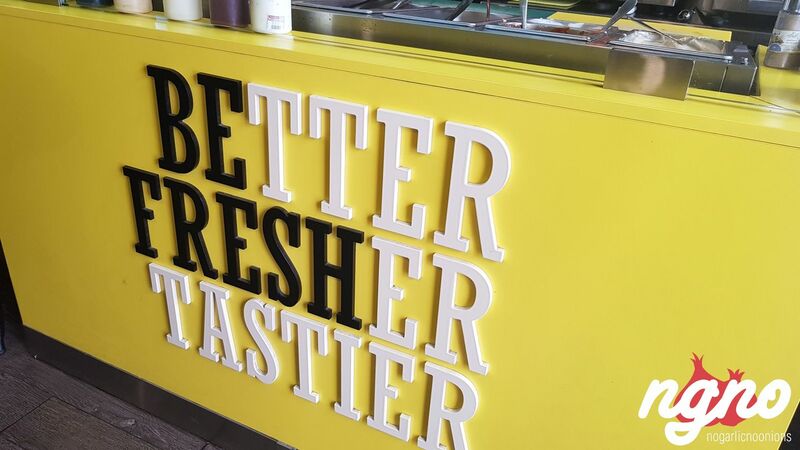 I enjoyed the fries, freshly made a la minute - machine cut frozen fries with a golden color and a light crunch. 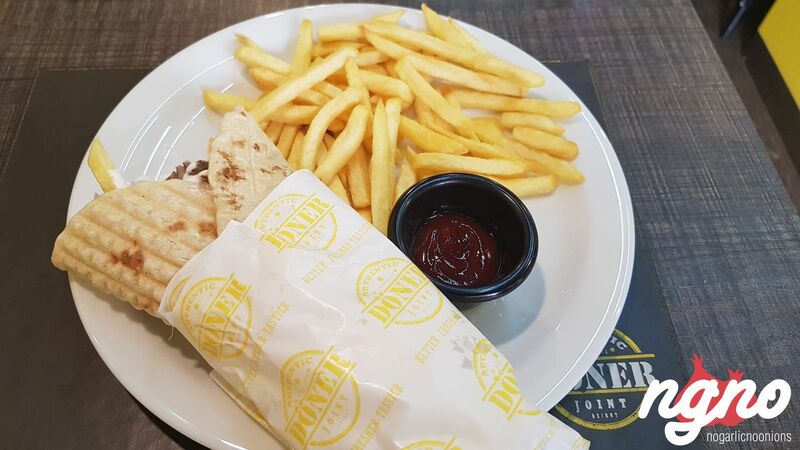 Durum: the thinnest of all three sandwiches, the juiciest of all. 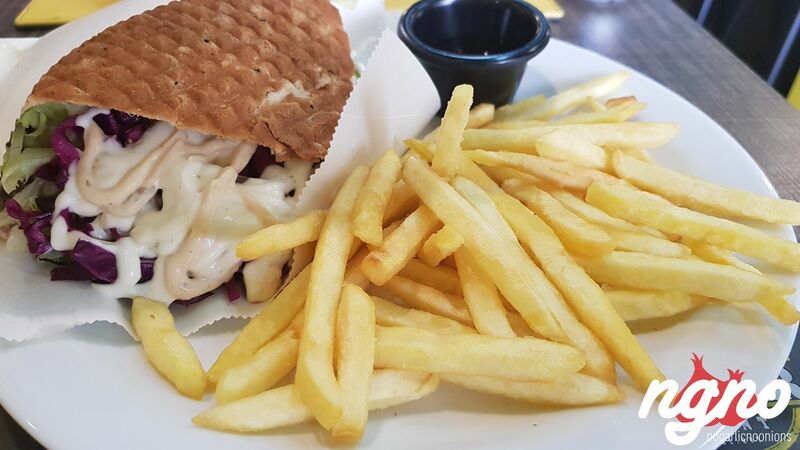 It's a tasty sandwich but if only the purple cabbage was not included - its too hard and bitter. 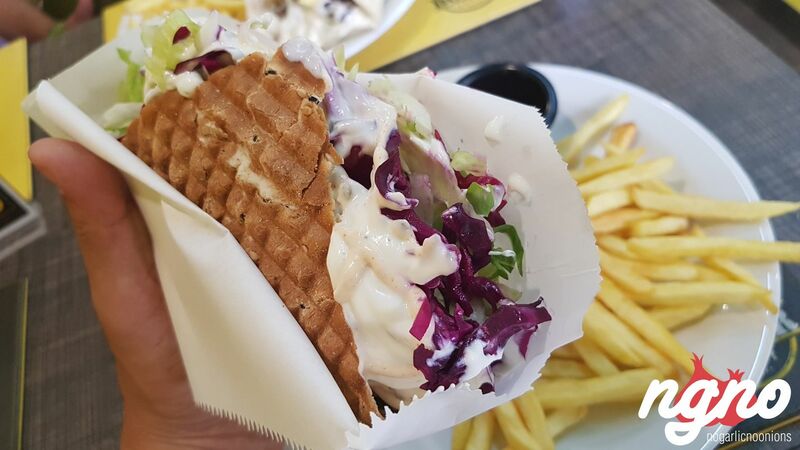 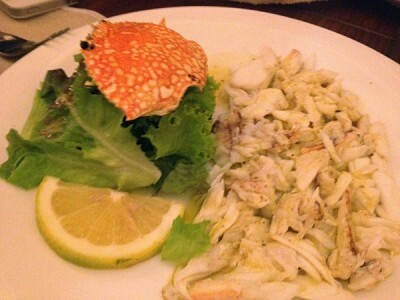 I enjoyed the sauce, the juiciness and the thin bread of the sandwich until the thick and crunchy purple cabbage popped up! 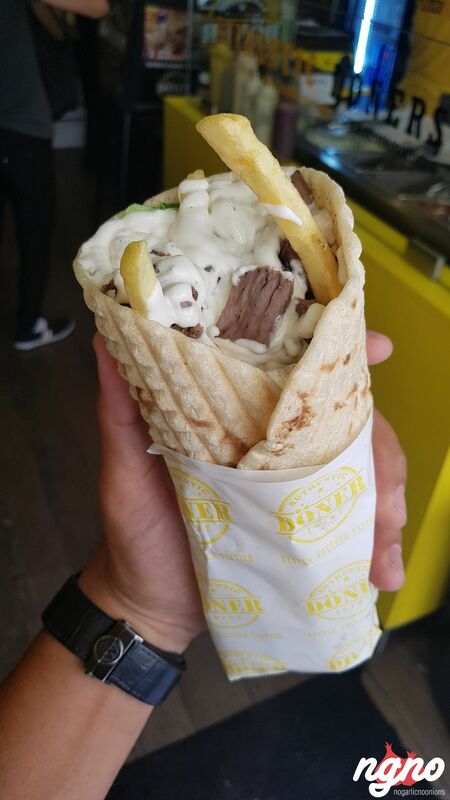 Not my thing at all... a filling sandwich but lacking balanced flavor. 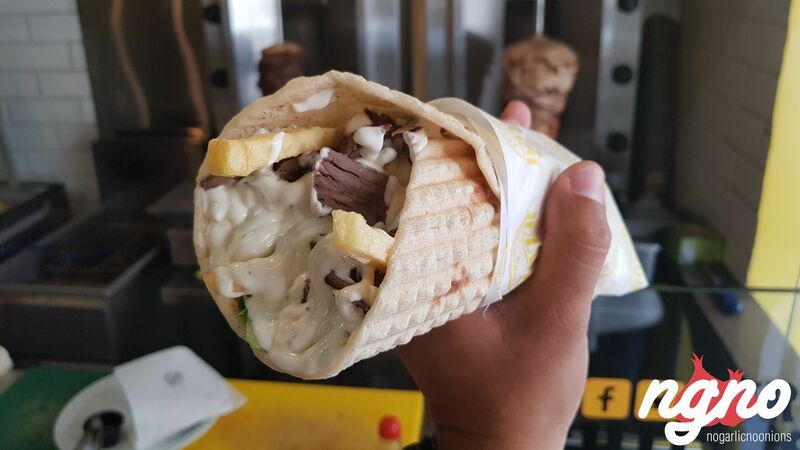 "Long live Shawarma."